A cold pressed juicer is wonderful for making green juices! This is a wonderful juice to drink on a really hot day. 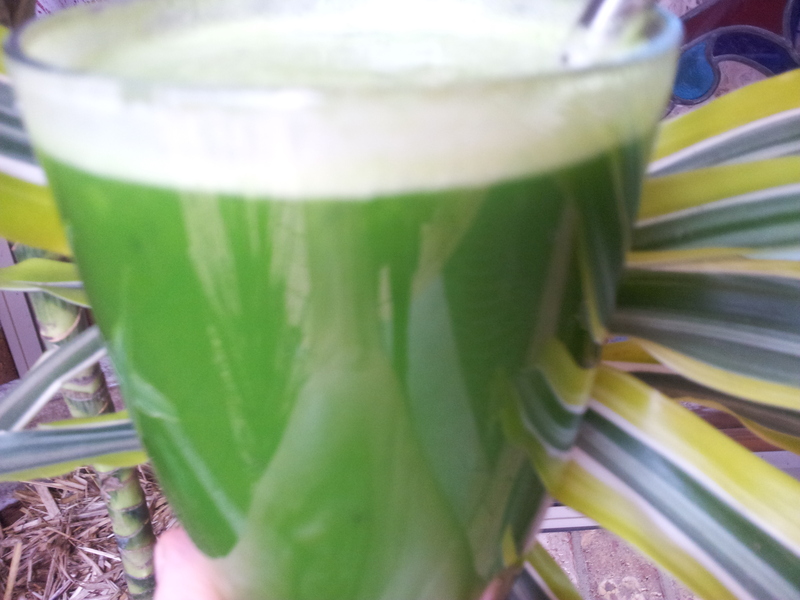 I like to vary the greens in my juices and when l can purchase or grow good quality bok choy it is wonderful to juice. This recipe uses a cold pressed juicer which helps to retain the nutrients in the delicate greens. When l was recovering from chronic illness several years ago green juices were an important part of my day and now they are just a delight to drink. This juice is a really stunning colour which makes it very inviting to drink and a green juice can be a wonderful re-energiser when you are feeling a bit worn out from the day. An afternoon pick me up is how l like to think about it and the nutrients are readily available so you start to feel better in a very short time. On a hot day if l am slightly dehydrated l sip this drink slowly and it is an excellent energy booster. This juice is a really stunning colour which makes it very inviting to drink. A green juice can be a wonderful re-energiser when you are feeling a bit worn out from the day. An afternoon pick me up is how l like to think about it and the nutrients are readily available so you start to feel better in a very short time. If it is a hot day and l haven’t had enough to drink sometimes l need more than just water and sipping this slowly is a great energy booster. A small handful of mint. Process this in the cold press juicer and drink it straight away. Some added ice will give it a nice chill.